SHELDON -- A 37-year-old Nunda man was charged Saturday with driving while intoxicated following a traffic stop for wearing ear buds while driving. 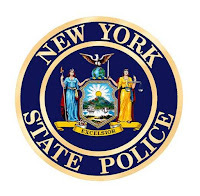 According to New York State Police, at 1:53 a.m., Bradley C. Lescher was stopped on State Route 20 A and found to be driving intoxicated with a blood-alcohol content level of .19 percent. He was charged with driving while intoxicated, aggravated driving while intoxicated, aggravated unlicensed operation of a motor vehicle, and an equipment violation for wearing more than one ear bud. He was taken to the Warsaw Troopers barracks for processing and ordered to appear in Town of Sheldon Court on July 30.